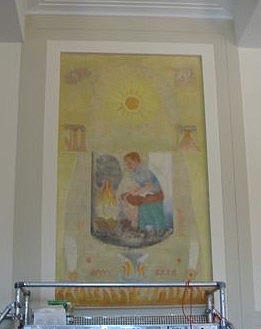 There are four murals representing the elements Air, Fire, Water, and Earth, in the Auditorium of the Gorton Community Center (formerly the Edward F. Gorton School). These are the only murals produced in Lake Forest under the Federal Art Project. 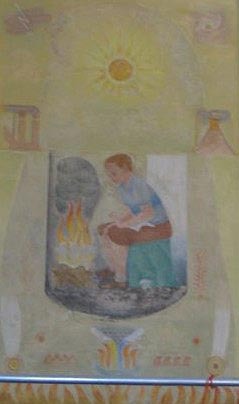 The artist, Ralf Henricksen, was born on June 22, 1907 in Chicago, the only son of Danish immigrant parents. Henricksen described the Gorton murals as his "most successful." He died in December 1975 in East Lansing, MI where he had taught for years as an art professor at Michigan State University - East Lansing. The segment detailed the restoration of 4 painted-over murals (previously thought destroyed) by Ralf Henrickson in the Gorton Community Center auditorium. 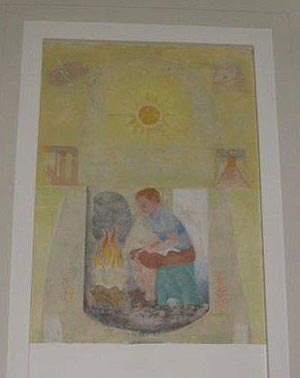 The 4 murals - "Air" "Fire" "Water" and "Earth" were painted in 1936 for what was then Gorton Elementary School. They were the only WPA/FAP project commissioned in Lake Forest. 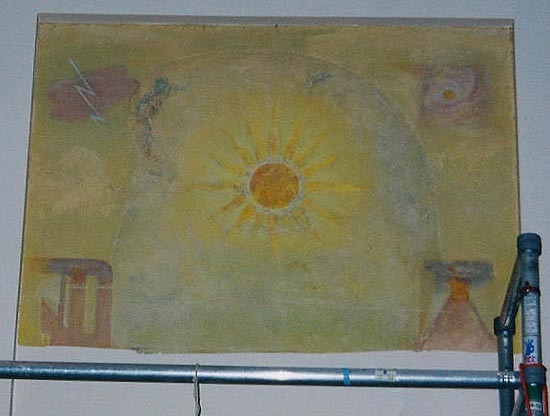 Over the years the murals, which were located directly above the auditorium heating vents, came to be coated with a thick dirt and particulate layer. 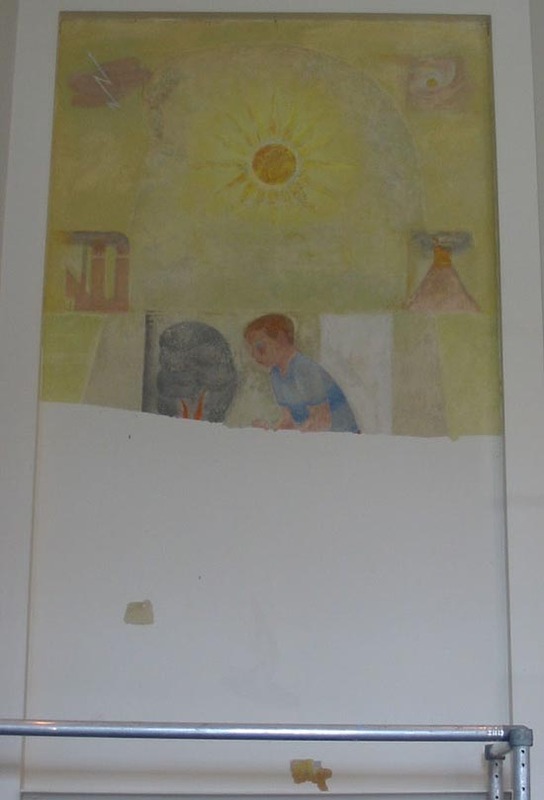 In the 1960's, as a means to "beautify" the school, the principal had the murals painted over. From the 1970's on, when the school became the Gorton Community Center, the murals were considered destroyed, even by the artist himself. 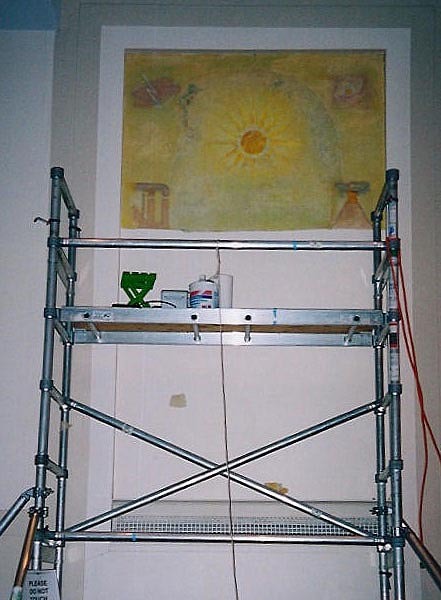 It was only when Director Gail Hodges was given a photograph of the murals as originally installed, in 1995, that she noticed that the canvas weave was still visible where the murals had been. In 2003, a challenge was issued by the Jamee and Marshall Field Foundation to raise funds for their restoration, a challenge which has now been met. 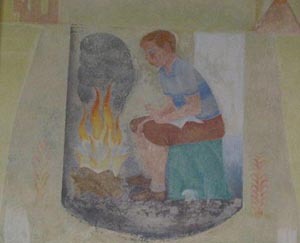 The conservation project itself began in November, 2003, with the restoration of "Fire". Work continued as "Water" was uncovered in February of 2004, and work is currently underway on "Air". The project is due to be completed, with the restoration of the last mural, "Earth", this summer.